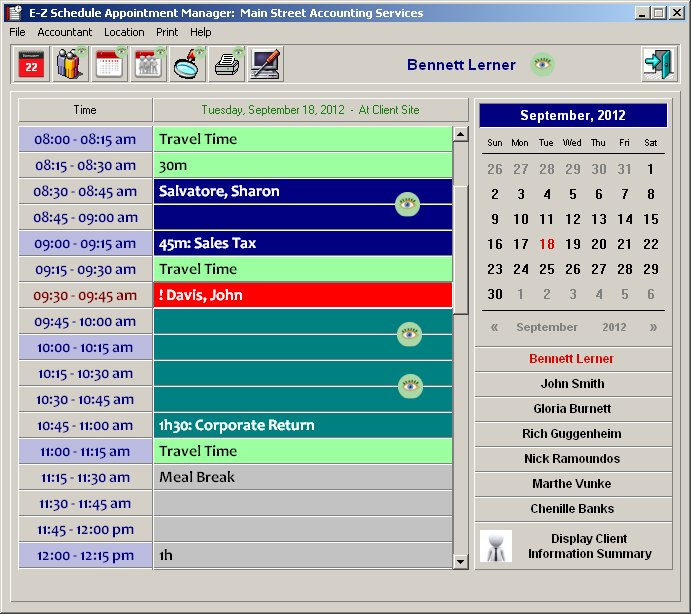 An affordable, easy-to-use appointment scheduling application designed for the small professional practice. 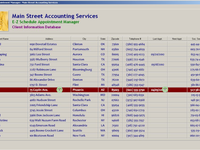 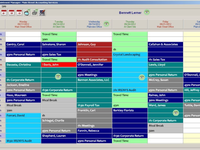 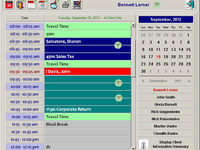 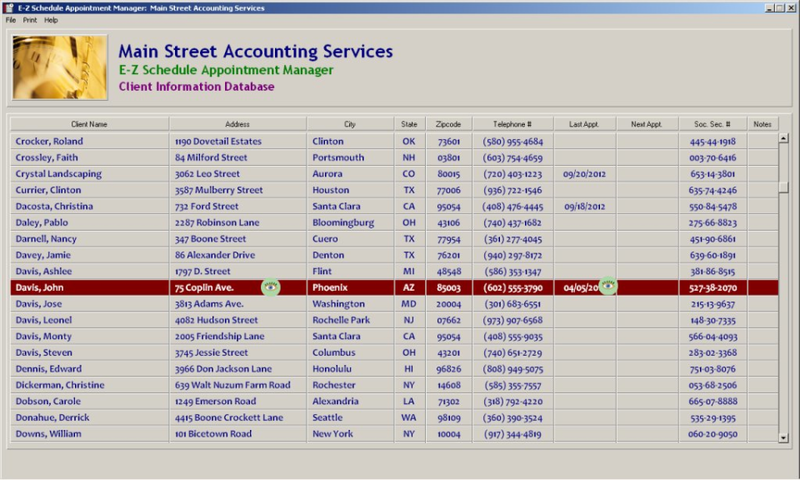 E-Z Schedule is the perfect appointment scheduler for any service-related business with a repetitive client base - accountants, doctors, dentists, lawyers, therapists as well as instructors, counselors, trainers and personal care specialists Network ready, E-Z Schedule allows multiple users to access and update staff schedules in real time and can be installed and running in minutes! 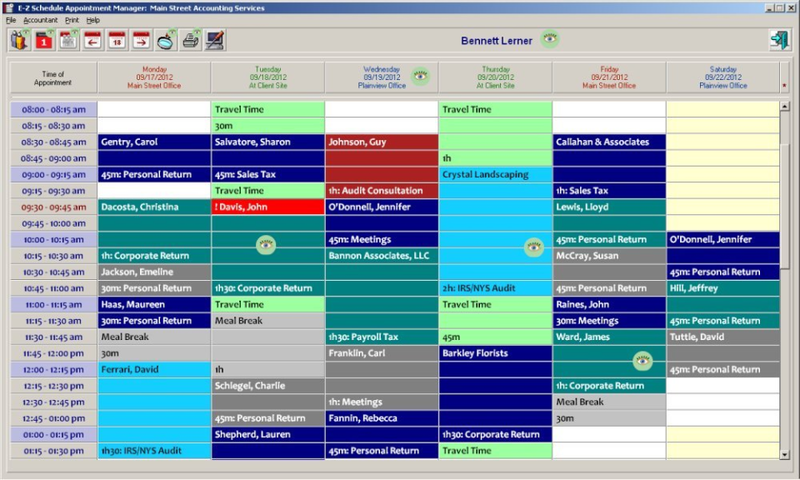 E-Z Schedule Reviews Recently Reviewed!